With the recent surge of research and policy interest in private schools educating disadvantaged children in developing countries, we were commissioned by DFID to undertake a rigorous review of the recent evidence on the Role and Impact of Private Schools in Developing Countries. This post lays out the review process and main findings. It also addresses a recent response to the review published by Pearson, from Professor James Tooley and Mr. David Longfield. Evidence on the mushrooming of private schools in developing countries started to emerge in the late 1990s. Opinion is strongly divided on the relevance and appropriateness of these schools to the aims of achieving Education for All goals. From one perspective, concerns exist as to whether governments alone would be able to meet the universal primary education targets given the pressure they placed on public finances. The expansion of education due to abolition of fees in government schools has at times been detrimental to education quality, affecting the education chances of the poor. Low-fee private schools have, therefore, been seen as a way of reaching more children with better quality education while also reducing costs. From another perspective, there are concerns regarding the appropriateness of the growing involvement of the private sector in the provision of education, deeming it to be in conflict with the recognition of education as a human right. From this perspective, with the majority of the poorest and most vulnerable remaining in government schools, the policy priority has been seen to be on reforming these schools to ensure that children attending them receive quality education. With this backdrop, we reviewed a number of hypotheses and testable assumptions that underpin the polarised debate about the contribution of private schools to improving education for children. The review team was appointed by DFID following a competitive bidding process. It comprised experienced researchers and a panel of expert advisers from the Universities of Birmingham, Cambridge and London (Institute of Education), and the Overseas Development Institute, bringing multiple disciplines and research perspectives to the field. The rigorous review clearly sets out its research methodology. It identifies 59 recent best quality studies in the field using a comprehensive search strategy and transparent inclusion criteria. These studies were assessed, and their evidence relating to the 17 testable assumptions was rated as either strong, medium or weak, drawing on the approach established by DFID’s ‘How to Note’. Rigorous measures were explicitly implemented to ensure the review would be as objective and balanced as possible, including cross-checking within the multi-disciplinary research team, scrutiny by the advisory panel, and external peer review. The rigorous review underwent external peer review at three stages of the research: 1) initial protocol detailing method and theory of change, 2) draft report, and 3) final report. Feedback from external peer reviewers in writing and in a roundtable meeting with a mix of international experts in the field was fully taken into account at each stage. Based on this rigorous process, our review identified that arriving at general conclusions on the impact of private schooling is difficult because of the diversity of the private school sector, the significant gaps in the evidence, and the fact that available research is rarely generalisable beyond its specific context. The focus of the review was on DFID-priority countries and, within these, the majority of studies were found to be in South Asia. The review found that many of the assumptions at the heart of the private schools policy debate are weakly evidenced, which highlights a need for caution and for more targeted research to fill the gaps in understanding. However, the review also found a mix of specific findings rated as strong and medium. Although these findings cannot be translated into policy without due regard for context, they do warrant policy-makers’ attention. Some of these findings are outlined below; the full set of findings is discussed comprehensively in the rigorous review. The review found strong evidence of private schools having better teacher attendance and teaching activity than state schools. There is also moderate-strength evidence that private school pupils outperform those in state schools in many contexts. Yet, since many studies are typically faced with the problem of effectively accounting for social background factors, there is an ambiguity about the true size of the private school effect. Findings further show moderate-strength findings that parents perceive private schools to be better quality than government schools in terms of teaching and teacher attendance. Moderate-strength evidence also indicates that the cost of education delivery is lower in private schools than government schools; these lower delivery costs are often due to lower teacher salaries in private schools. As researchers who want public policy based on evidence, we are also compelled to point out the gaps in our knowledge and where there is evidence of the limitations of private schools at present. The review found weak and inconclusive evidence regarding equity of access and the affordability of private schools to the poorest. This is of serious concern, as is the fact that learning outcomes are still extremely low across both private and state schools in many developing countries. Additionally, while this varies by context, evidence indicates that girls are less likely than boys to be enrolled in private schools. The review highlighted the limited evidence base on the financial sustainability of private schools and on the impact of subsidies. It also found moderate-strength evidence that attempts by states to intervene in the private sector are often constrained by insufficient knowledge of the size and nature of private schooling and ineffective and selective enforcement of regulation. These are important issues if state or international support to subsidise private schools is to be considered. Finally, the review found very little evidence to support the often-claimed assertion that private schools are more accountable to users than government schools, and the evidence base on whether private schools create market competition and drive up standards across the education system is sparse and contested. Widening the evidence base and engaging constructively with these problems should therefore be our priority. Given the rigorous process of preparation for the review that was published in April 2014, we were surprised to see the recent press coverage motivated by Tooley and Longfield’s response to the review, published by Pearson. This response has been particularly surprising given that the Rigorous Review actually highlights some of the strengths of the private schooling that Professor Tooley champions. When Tooley and Longfield first contacted DFID with their response, the team provided a meticulous reply, in which we noted any detected typographical errors which are being amended. We also thoroughly investigated each of the challenges proposed by Tooley and Longfield and found that the policy conclusions they reach, more strongly in favour of private schools, are not justified by the evidence. We understand that our detailed and methodical reply was sent by DFID to Professor Tooley in November 2014; it is regrettable that his published ‘report’, which came out in March 2015, did not acknowledge or take account of our response. This is out of keeping with the Rigorous Review’s serious commitment to academic rigour and evidence informed policy. While the research team values comments and debate on the issues in the review, the tone of the debate has unfortunately reverted to precisely the polarised positions that this review hoped to move beyond. •	p.42: Context matters. Tooley and Longfield show that 4 out of 5 quintiles of my sample households in poor, remote, rural Uttar Pradesh, India, fall into the poorest 2 quintiles when compared to all of India (urban and rural). But it is meaningless to compare this poor case-study area with all of India – an enormous country with greatly varying regional wealth patterns. Roughly 3 wealth quintiles could not afford private schools in their own local context. So, private schools were clearly unaffordable. •	p.45: They highlight that there were schools of different prices across 13 study villages. But this does not prove that all 250 sampled households had a choice of school prices to select from: people never chose (except for those in the richest quintile) to send their child out of the village for primary schooling. If a cheaper school was found in a particular village, then poorer families might have a better chance of affording it. •	Some selective non-reporting of my research: Tooley chooses not to pay attention to my finding from my 2011 IJED article (p.355) that those accessing private schools have smaller family sizes (often young families most of whose children had not reached school age yet). Family size matters. •	Tooley reports correctly my finding of the ‘3-for-2’ deal at all private schools on the monthly fee (all other costs still applied); however he neglects my reporting in my 2009 article in Compare (p.163) that parents all dismissed as ‘rubbish and lies’ the assertion from school owners that they offer any other types of cost reductions (free or concessionary places). •	p.53: Tooley ‘assumes’ (despite being perfectly free to email me to clarify) that uniforms are necessary to attend government schools, because of the girl-targeted incentive of cloth for getting a uniform made. In reality, uniforms were necessary in private schools, while children attend government schools in their usual often dirty and/or ragged clothing, which I captured this in photographs. 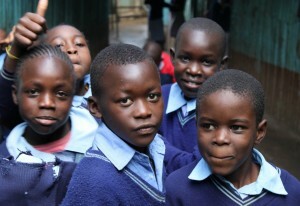 But for private school parents must buy uniforms in addition to these basic daily clothes that all children have. Therefore reporting uniform costs as part of the cost of attending a private school but not for government schools is reflective of the reality on the ground. •	p.54: Research on cost multiples between government and private schools are reported correctly in my work; I can supply the data. Siddhu’s research, with which I am deeply familiar, while also from Uttar Pradesh is from an entirely different schooling level and has no bearing on my research whatsoever. •	p.35: A point of clarification for Tooley (which again he could have got from me via email): the report of 25% of my India study schools closing down within a year of my DPhil fieldwork is correct; the data was gathered using standard data collection methods in a follow-up round from which I never published because I became too busy in Nigeria. •	p.14: Tooley refers to my Nigerian research, wondering why my ‘magisterial [sic] large-scale quantitative surveys from Lagos and elsewhere’ were not included in the review. I’m afraid I have done no large-scale quantitative survey at any point in my career outside of Lagos, so the ‘and elsewhere’ is Tooley’s personal invention. I have carried out case-study research in selected areas of Kwara State, the results of which can be found online in the relevant ESSPIN report and which are forthcoming in my next journal article. The Kwara research shows that outside of densely populated urban centres, private schooling is not viable due to poverty and sparse population patterns. We want to sincerely thank Joanna Härmä for her comments about her studies and their contribution to the understanding about affordability of low-cost private schools. We certainly do not want to “manipulate” or “quote selectively” to give a false impression of the results of these studies, so her clarifications are important. We hope that her knowledge and experience can shed more light on this key area, which we believe is not yet fully understood. We do apologise for our error concerning the number of quantitative studies in Nigeria and thank Joanna for pointing out the fact that she has done only one such study. In our Response to the Rigorous Review we first pointed out four key propositions derived from the literature about affordability (p. 39). 4. Published ways of looking at affordability of private education by investigating average school fees and average household income/assets etc. may not be the most helpful ways of looking at affordability of private education for the poorest. Our understanding is that Joanna Härmä’s studies generally confirm these core propositions and we would be very interested to hear if that is indeed her analysis from her studies. Some households in her poorest quintiles are sending their children to low-cost private schools; they may be those children (as she rightly reminds us) that are from smaller families, have more educated fathers or are Hindu as opposed to belonging to a scheduled caste or tribe (IJED article p. 355). Point 1. Joanna is absolutely correct, context is important and these families, the poorest quintiles in these Uttar Pradesh villages are clearly very poor, and she makes this clear in her papers. Unfortunately this may be missed by readers of the Rigorous Review, when the writers state “The evidence finds that households in the poorest quintile rarely enrol children in private schools. Härmä and Rose (2012) find that only 10 percent of children from the poorest quintile were accessing private schools in their study area in India.” (p. 27). It is with this in mind and for the benefit of the readers of the Rigorous Review that we chose to make comparison between Härmä’s quintiles and those for all India. We believe that is helpful for readers of the Rigorous Review to understand the context of the study. Clearly her studies show (Table 1 p. 354 in the IJED article), and no-one is suggesting otherwise, that those who are more wealthy are more likely to send their children to private school. Point 3. We were not questioning the cost multiples that Joanna calculated and accept that the average costs associated with the private schools in the survey are nine times those of the government schools. However when 10% of the poorest quintile families are choosing to send their child or children to a low-cost private school if would suggest that these families either value this private education so much that they are willing to pay nine times more than sending them to the government school or they are spending less than the average and are experiencing a somewhat lower differential. We all agree that the costs that families pay for education vary due to the difference in school fees and the choices that parents make about discretionary expenses such as transport, tuition or food. We chose to look separately at Akaguri’s and Härmä’s figures and make some suggestions as to how some families may thus be able to incur less than the average private school costs. This is a way of beginning to reconcile how, in addition to possibly being from small families, some of those who are in the lowest quintile in these villages are actually accessing private schools. None of this questions the accuracy or validity of the research or calculations, but it seeks to explore some of the variations that these averages hide. The fact that some of these suggestions, Joanna points out in her comment on the UKFIET website, are not valid in her particular study does not undermine the concept. We believe that it is too simplistic to conclude that private schools are unaffordable when some of the poorest are accessing them. We think further research is needed to help us understand this important area. I am somewhat concerned about the way in which my research has been used to support/negate perceptions about private school growth by Tooley and Longfield (2014) and take this opportunity to clarify contributions of my research to this debate (Pal, 2010; Pal and Kingdon (2010); Maitra, Pal and Sharma, 2011; Pal and Saha (2014); Maitra, Pal and Sharma (2015)). As such this note explains why I think that the researchers of the Rigorous Review have correctly interpreted my research. Gender gap in private school enrolment: Pal (2010) was a paper on the effect of a community’s access to public infrastructure on private school location. But it had the following result on gender gap: ‘In general, gender of the child is important; while boys are less likely to go to a private school, the effect was significant only at 10% level. Further footnote 17 suggests that a significantly larger proportion of boys (60% as opposed to 40% of girls) are ever-enrolled in our sample while a larger proportion of ever-enrolled girls (19.6% as opposed to 15.6% of boys) go to private schools. If however we consider the proportion of total boys and girls going to private schools, the proportion is very similar (around 11% for both boys and girls). Further we find that boys from families with higher proportion of female children (aged less than 18) are more likely to go to a private school in our sample.’ Because in one instance it seems that boys are more likely to go to private schools, and in another less likely, the evidence is ‘mixed’ or neutral in my opinion, precisely how the authors of the Review have interpreted it. Second, Maitra, Pal and Sharma (2011) used individual level unit record data from 2005-06 India Human Development Survey (IHDS) from all major states of India to analyse the gender gap in private school enrolment and find that a girl is less likely to be sent to private schools, holding other factors constant and controlling for selection into school enrolment. Also this disadvantage is particularly higher for younger girls in the family. The extent of gender bias in private school enrolment is double that of overall enrollment. Additionally, irrespective of policy reforms and overall economic growth, female disadvantage in rural private school enrolment appears to have increased over the decade 1993-94 to 2004-05. One can however argue that the methodology used either in Pal (2010) or Maitra, Pal and Sharma (2011) is not correct to study the gender gap in private school enrolment. This is because use of single cross-section estimates may potentially lead to two types of estimation biases: first is the bias generated from unobserved household characteristics (e.g., parental support/motivation, parental health information or specific family circumstances) and the second is the potential endogeneity of gender of the child arising from the quantity-quality trade-off within Beckerian set-up. This is because the gender composition of children within the household is not necessarily random and parental preferences can have an important role to play. The same unobserved parental characteristics that affect child’s gender may also systematically affect educational opportunities of children of different gender differently, thus causing significant endogeneity bias. While some use gender of the first child on the grounds that it is random, thereby restricting the analysis to the first-born (see for example Rosenzweig and Wolpin (2000)), Maitra, Pal and Sharma (2015) consider a household fixed effects approach that exploits the variation in schooling choice of children born to same parents; the latter not only addresses the endogeneity of gender of the child but also the issue of potential bias arising from omitted household-level variables. The paper provides new evidence that there is pronounced within-household gender gap in private school enrolment in India and that the extent of this gender gap is significantly greater (especially for 7-14 year olds) than that arises from between-households comparisons. Beyond the age of 14 years, however, female disadvantage in private school enrolment seems to disappear which can potentially be attributed to rising returns to girls’ secondary schooling and parental security concerns for adolescent girls. So I would like to reiterate that there is no way to suggest from my studies that boys and girls are equally likely to go to private schools and in this respect we prefer our methodology in the 2015 version of the paper. The authors of the review have interpreted our research perfectly. I would be cautious to use this result to support the argument in favour of private schools for poor. As highlighted in the paper, this is a result from the analysis of a single cross-section of 1992 data as we did not have SC/ST literacy rate for 1992. Second, the analysis suffers from the fact that the private school growth in a district cannot be taken as purely exogenous: just as private school growth may affect literacy, literacy may also affect private school growth. We are in the process of updating our methodology to identify the true effect of private school growth on universal literacy in Indian districts. Further Pal (2010) suggests that access to public infrastructure plays a crucial role on the presence of private schools in a community and also on the year 5 pass rates in PROBE villages in India. Section 2.2 of the paper suggests and I quote: ‘Results of a simple mean test summarised in Table 4 indicate that villages with private schools tend to enjoy better infrastructural facilities, as reflected in their access to piped water, electricity, phone, post office, etc. These villages are also significantly closer to the pucca road as well as the district headquarters. Second, villages with private schools tend to be larger (in terms of population) and have relatively more educated parents. These villages also have lower proportion of low caste and Muslim population, who are often poorer and also have less assets.’ This can be taken as evidence that generally better-off villages with lower proportion of SC/ST households tend to have access to private schools in rural India, thus generating an inherent inequity in access to private schools. Relative efficiency of private schools: The literature seems to be ambiguous about the relative efficiency of private schools. A number of papers find that private schools are superior to public (i.e. state-run) schools (Jimenez et al 1991; Kingdon 1996; Desai et al., 2009; Muralidharan and Kremer, 2006). But there is also a growing body of work that produces evidence to the contrary (Beegle and Newhouse, 2006; Somers et al., 2004; Chudgar and Quin, 2012). Pal and Saha (2014) have recently used a novel methodology to identify the effect of school choice on student test scores in Nepal. There are three main features that distinguish our work from the previous work. First, we allow for heterogeneity among private schools. In particular, we consider three types of schools : fully funded public schools which are virtually free, company-run private schools which are registered as `for profit’ organizations, and trust-run private schools that are registered as `not for profit’. The latter two types of schools charge tuition fees, raise funds privately, and do not receive any grants from the Nepalese government. This diversity in private schools is increasingly becoming a common place, and yet academic research has not fully acknowledged it (EdInvest, 2000 pp. 5-7). Our second novelty is that we go beyond customary regression of school type dummy (distinguishing private from public schools) on student test scores. We argue that this does not reveal the true efficiency of the schools, because the inputs incurred to attain efficiency are ignored, as they vary considerably across these three school types in our sample. Explicit inclusion of cost per student allows us to obtain a measure of efficiency `per unit of cost’ that the traditional approach cannot; it also helps us understand the source of efficiency. For this reason, we include school expenditure per student as a determinant of efficiency by school type after controlling for other factors that may also influence test scores. Finally, most existing studies consider primary or upper primary-level (Kingdon, 1996; Beegle and Newouse, 2006) test scores while we focus on secondary level test scores conducted at the National level by the government which ensures a uniform standard of exam paper and marking rules. Using Nepalese Secondary School Leaving Certificate test scores, we provide new evidence for public schools to be not necessarily inferior to company-run private schools, when the school’s expenditure per student, a summary measure of educational inputs, is taken into account. Both schools may, however, be outperformed by socially motivated trust-run schools, a third category of schools that existed in Nepal for a long time. By using the expenditure efficiently trust schools overtake the public and private schools at some higher level of expenditure. We identify the effect of school expenditure by exploiting its variation before/after the government’s introduction of a tuition fee cap. Our findings suggest that directing resources to socially motivated private schools, rather than fully public or for-profit private schools, may produce superior educational outcomes. Concluding comments: To summarise, the existing evidence is rather mixed and so one cannot use this evidence to suggest that private schools are unequivocally better or worse to promote literacy, enrollment or test scores among all including boys and girls, poor and non-poor, thus necessitating more nuanced policy interventions in this respect. While the governments in most developing countries have largely overlooked the rapid growth of private sector so far, we hope that the current UN efforts to reassess the MDGs will look into these emerging issues to tackle the problems of youth literacy and enrolment beyond 2015. Beegle, K. and D. Newhouse. (2006). ‘The Effect of School Type on Academic Achievement: Evidence from Indonesia’, Journal of Human Resources 41(3):529-557. Chudgar, A. and Quin, E. (2012) Relationship between Private Schooling and Achievement: Results from Rural and Urban India. Economics of Education Review, Vol. 31: 376-90. Desai, S., A. Dube, R. Vanneman and R. Banerji. (2008) ‘Private Schooling in India – A New Educational Landscape’, mimeo University of Maryland and NCAER. Dreze, J. and A. Sen. (2013) ‘An Uncertain Glory: Indian and Its Contradictions’, Oxford University Press: New Delhi. EdInvest (2000), Investment Opportunities in Private Education in India, International Finance Organization, available online at http://www.ifc.org. Jimenez, E., & Lockheed, M. E. (1991). Private versus public education: An international perspective. International Journal of Educational Research, 15(5), 353-497. Kingdon, G (1996) “The quality and efficiency of public and private schools: A case study of urban India”, Oxford Bulletin of Economics and Statistics, February 1996. Maitra, P., S. Pal and A. Sharma. (2011) Reforms, Growth and Persistence of Gender Gap: Recent Evidence from Private School Enrolment in India’, IZA Discussion Paper No. 6135. Maitra, P., S. Pal and A. Sharma. (2015) ‘Misogyny or Rational Preferences of Households? An Analysis of Gender Gap in Private School Enrolment in India’, SSRN working paper. Muralidharan, K. and M. Kremer. (2006) ‘Public and Private Schools in Rural India’, Chapter 5 in Chakrabarti, R. and P. Peterson (eds.). School Choice International: Exploring Public-Private Partnerships, MIT Press. Pal, S. (2010) ‘Public Infrastructure, Location of Private Schools and Quality of Schooling in An Emerging Economy’, Economics of Education Review 29(5) 783-794. Pal, S. and G. Kingdon. (2010) ‘Can Private School Growth Foster Universal Literacy? Panel Evidence from Indian Districts’, IZA Discussion Paper No. 5274. Pal, S. and B. Saha. (2014) In ‘Trusts’ We Trust: Socially Motivated Private Schools in Nepal’, IZA Discussion Paper No. 8270. A more updated version is available from SSRN. Somers, M. A., McEwan, P. J., & Willms, J. D. (2004) How effective are private schools in Latin America? Comparative Education Review, 48(1), 48-69. Rosenzweig, M. R., AND K. Wolpin (2000): “Natural Natural Experiments in Economics,” Journal of Economic Literature, 38, 827 – 874. Tooley, J. and D. Longfield. (2014) The Role and Impact of Private Schools in Developing Countries: A Response to DFID’s “Rigorous Literature Review”, East West Centre, Newcastle University. Acknowledgements: I would like to thank Leverhulme Trust for funding the project ‘Private Schooling and Universal Education’ and also to Paul Glewwe, Geeta Kingdon, Pushkar Maitra, Sandra McNally, Harry Patrinos, Nishith Prakash, Bibhas Saha and Anurag Sharma for many discussions and feedback on this project. The usual disclaimer applies. Thank you Sarmistha for taking the time to input into the debate about the role of low-cost private schools. It is always good to hear from those who are actively involved in the field and collecting the data when they can share their experiences and insights. Thank you too for your contributions by email to my initial response which I sent you before I posted anything online. I am taking the liberty of including these in this post. We think that you have raised some very good points and would like to consider them and some of their implications. On Gender Equity from Pal 2010. It is important to note, as Sarmistha Pal carefully points out, that this paper is on the effect of a community’s access to public infrastructure on private school location and not on gender equity. Pal (2010) was a paper to study the effect of public infrastructure on private school location in Indian villages. Surely it was not a paper to study gender gap in private school enrolment (dealing with gender requires additional considerations that I present below) and I would be reluctant to use observations from footnotes to derive implications for gender equity or female disadvantage in private school enrolment. I am sure that you would agree that the results are rather mixed and we should be very cautious to use this paper to draw implications for gender equity or female disadvantage in private school enrolment. However the Rigorous Review has taken this study as evidence about gender equity so we must make sure the right conclusions are drawn, and Sarmistha warns we could be selective! First the statement in the footnote indicates 1) that a greater proportion of boys (than girls) are enrolled in school, and 2) a greater proportion of school-going girls (than school-going boys) attend private school. This means that the private schools have a higher proportion of girls than the government schools. In this way the private schools are catering more for girls compared with the government schools. This is one of the key points, indicating that the private schools are positively impacting girls in the villages of this survey. It is for this reason that we believe the study is positive for the private schools with regard to equity. The footnote makes us aware of a simple statistical observation derived from our data: while 19.6% (15.6%) of ever-enrolled girls (boys) go to private schools, one need to factor in the fact that only 40% (60%) of all girls (boys) are ever enrolled in any schools. So if we instead consider the proportion of total boys and girls going to private schools, the proportion is very similar – around 11% for both boys and girls. So a very careful analysis is needed to identify/interpret the extent of female (dis)advantage in private school enrolment in schools – otherwise there is scope to use these numbers to support one’s apriori notion. I understand the first part of the statement that “boys are less likely to go to private school” and, as you point out, in your simultaneous probit model this is significant only at the 10% level. However in your bivariate probit model where you separate out choice to send child to school and follow it by choice of school type, this is significant even at the 5% level. I understand this to mean that if a parent’s decision process is first to decide whether to send their child to school, and then to choose the school type, there is a difference between their approach to boys and girls. Boys appear more likely to be sent to school than girls, and for those that are sent to school the girls are more likely to attend private school. If the decision to attend school and the choice of school are simultaneous decisions (which you suggest is more likely) then there is insufficient evidence, at the 5% level, to indicate that girls are more likely to be sent to private school than the boys. There is nothing here that could be regarded as negative for the gender equity of private schools. 3. In seeking to take the different sizes and compositions of families into account you find that “boys from families with higher proportion of female children (aged less than 18) are more likely to go to a private school”. You use two variables that could indicate resource constraints in a household. “Similarly, the proportion of younger male and female children aged 5–18 in a household would highlight the household resource constraint effect, if any, and as such would be important only in the parental choice of fee-paying private schools”. This shows that families with resource constraints due to having larger proportions of girls are likely to make different decisions from those with different proportions of children, larger proportions of boys or less resource constraints and they are likely to favour the boys’ attendance (over girls’) at private schools. In particularly the interaction term for boy with proportion of girls less than 18 has a highly significant positive coefficient. In conclusion: 1) the private schools have a greater proportion of girls than the government schools, 2) there is the suggestion, but insufficient evidence to conclude, that parents generally are more likely to choose private schools for their girls than their boys, 3) boys from families with higher proportion of female children (aged less than 18) are more likely to go to private school. Obviously we may have to agree to differ on what these conclusions say about gender equity in private schools. This analysis across India indicates that the gender gap in private school enrolment is generally greater than that overall for school enrolment. There are exceptions state wise in the original (Maitra et al., 2011) article. However a more recent version of the article (Maitra et al., 2015), which was not included in the original Rigorous Review does not look at individual states but groups the states by region, East, West, North, North-West and South. (East: Assam, Bihar, Jharkhand, Orissa, West Bengal; West: Gujarat and Maharashtra; North: Chhattisgarh, Madhya Pradesh, Rajasthan, Uttar Pradesh and Uttaranchal; North-West: Himachal Pradesh, Haryana, Jammu and Kashmir and, Punjab; South: Andhra Pradesh, Karnataka, Kerala and Tamil Nadu) and finds that is each the region there is a gender gap in enrolment in private schools. Certainly based on the newer version of the paper there is no suggestion that there is gender equity in private schools, even though there was for a minority of states in the original article (Maitra et al., 2011). Maitra et al. (2011) specifically studies the effect of gender on private school enrolment and does not find any evidence of gender equity in private schools – rather there is evidence of female disadvantage in private schools. Note however that the gender of the child in a Indian households is unlikely to be purely exogenous and as such the estimates of Maitra et al. (2011) are likely to be biased which is taken care of by Maitra et al. (2015) in terms of using a household fixed effects model. The paper suggests that the size of the female disadvantage is even bigger when we consider within (rather than across) households variation in private school enrolment, especially when we consider 7-14 year olds. Unfortunately none of the articles you mention in this context is included in the Rigorous Review. These comments are therefore going beyond our initial remit in looking at the evidence the Rigorous Review included. Two of the articles (Beegle and Newhouse, 2006; Somers et al., 2004) are old and prior to the cut-off date of 2008 which, if these two articles are important, again shows that the Rigorous Review’s cut-off date was unhelpful. If the third (Chudgar and Quin, 2012) is significant it is not immediately clear why it was excluded. Here we digress to your very interesting ideas on for profit, non-profit and government schools. The Rigorous Review indicate that they are looking only at the for-profit private schools, but they included studies that researched a mixture of types of private schools. The motivation and attitudes of the school owners, founders and principals could well be a key factor in the quality debate. In our recent research in schools in South Sudan, Liberia and Sierra Leone we have sought to distinguish between different management types and have also looked to categorise them into for profit, non-profit and government. While this is not an issue that was considered in the Rigorous Review on the Role and Impact of private schools in developing countries, it is of real relevance and I hope that the subsequent Rigorous Review into Philanthropic and Religious Schools in Developing Countries: A Rigorous Review of the Evidence, Wales et al (forthcoming) will address this issue. However I did notice a contrast in the wording that you use in some of your recent papers with those in the comment you posted on the UKFIET website. I hope that I am not reading too much into the differences. “There is now a general consensus in the literature that private schools are more efficient than states schools in that it may deliver greater test scores and/or higher earnings (Bedi and Garg (2000); Muralidharan and Kremer (2006); Kingdon (2007); Goyal and Pandey (2009); Wadhwa (2009); and Tooley et al. (2010)). “Socially motivated schools can outperform the profit-motivated schools, which have been traditionally found to be more efficient than state-run schools (Jimenez et al 1988; 1991; 1995; Kingdon 1996; Sharma, 2011; Desai et al., 2009; Muralidharan and Sundararaman, 2013). With footnote: An important exception is Beegle and Newhouse (2006) for Indonesia – see further discussion below. “There is only a few studies that have found public schools to be superior to private schools, namely Beegle and Newhouse (2006) for Indonesia, Somers et al. (2004) for Latin America, and Chudgar and Quin (2012) for India”. I am not sure the quotes “Somers et al. failed to find a strong and consistent private school effect …” or “Chudgar and Quin show that low-fee paying schools are no better than the public schools” are really the same as using them to suggest that there is “a growing body of work that produces evidence to the contrary”, where “the contrary” in this context will be taken by our readers to mean that public schools are superior to private schools. I do not think there are any contradictions here – we simply suggest that the literature is ambiguous in this respect: while there has been more papers highlighting private school efficiency in the past, more recent literature using more improved methodology (addressing various endogeneity issues) fail to find the positive effects of private schools that the earlier literature found. For example, Chudgar and Quin (2012) used propensity score matching method to compare test scores of children going to private and public schools who are comparable on observable characteristics which is a first attempt to identify the causal effect of private school choice on student test scores. These PSM estimates then do not find any evidence that private schools are better. The upshot is that one needs to be rather cautious about the methodology used to identify if this is a causal effect of private schools on test scores or simple correlations between school choice and test scores before using any existing evidence to draw any conclusion– otherwise there remain cause for concerns. Evidently propensity score matching has also some shortcomings as it does not take account of the unobservable individual/household characteristics in this respect and as such there is further need to improve the methodology to identify the true causal effect of private schools on student test scores. This is why the policy makers need to be aware of these emerging issues. While you have referred to an article that the Rigorous Review chose not to include to support your comment, we do acknowledge that all private schools do not outperform all government schools in all areas. However we heartily agree with the hope you expressed in your conclusion that these low-cost private schools will be considered as we look beyond the current MDGs and also that governments and the UN will develop a “nuanced policy intervention” that takes these schools into account beyond 2015. I am surprised to see that David Longfield has chosen to include parts of my private email correspondences with him while writing his responses to my post of 6 April without my knowledge. I therefore need to clarify my responses to David’s post above. 	The footnote and the related text makes us aware of a simple statistical observation derived from our data: while 19.6% (15.6%) of ever-enrolled girls (boys) go to private schools, one need to factor in the fact that only 40% (60%) of all girls (boys) are ever enrolled in any schools. So if we instead consider the proportion of total boys and girls going to private schools, the proportion is very similar – around 11% for both boys and girls. So a very careful analysis is needed to identify/interpret the extent of female (dis)advantage in private school enrolment in schools; one would clearly underestimate the female disadvantage if one uses the share of ever-enrolled girls in private schools as a girl is typically less likely to be enrolled in any school at the first instance. It is, however, rather naive to use these numbers to suggest that girls are more likely to be enrolled in private schools. In this sense I agree with the Rigorous Review. It seems that David has missed my earlier arguments of 6 April. Pal (2010) was a paper to study the effect of public infrastructure on private school location in Indian villages. Surely it was not a paper to study gender gap in private school enrolment (dealing with gender requires additional considerations that I discuss below) and I would be reluctant to use observations from footnotes of Pal(2010) to derive implications for gender equity or female disadvantage in private school enrolment. Clearly, the results are rather mixed and we should be very cautious to use the results from this paper to draw implications for gender equity or female disadvantage in private school enrolment. 	Maitra et al. (2011, IZA discussion paper) specifically studies the effect of gender on private school enrolment and does not find any evidence of gender equity in private schools – rather there is evidence of female disadvantage in private schools. 	Note however that the gender of the child in a Indian households is unlikely to be purely exogenous and as such the estimates of Maitra et al. (2011) are likely to be biased (e.g., positive female coefficients for some states), which is taken care of by Maitra et al. (2015) in terms of using a household fixed effects model. The paper suggests that the size of the female disadvantage is even bigger when we consider within (rather than across) households variation in private school enrolment, especially when we consider 7-14 year olds. I cannot help feeling the pedantic nature of David’s quotes here trying to read too much into the slight variations in words about my citations of various studies in several of my papers (Pal, 2010; Maitra et al., 2011; 2015). 	Most importantly, these quotes do not indicate any contradictions – we simply suggest that the literature is ambiguous in this respect and is evolving fast. While there has been more papers highlighting private school efficiency in the past, more recent literature using more improved methodology (addressing various endogeneity issues) fail to find the positive effects of private schools that the earlier literature found. For example, Chudgar and Quin (2012) used propensity score matching method to compare test scores of children going to private and public schools who are comparable on observable characteristics which is a first attempt to identify the causal effect of private school choice on student test scores. These PSM estimates then do not find any evidence that private schools are better. In updating Pal and Saha (2014), we use the introduction of the PABSON code of conduct in Nepal in 2003 as a natural experiment that capped the private school fee to assess the impact of school choice on the efficiency of various types of schools per unit of expenditure per student and find that socially motivated private schools tend to outperform both government and profit motivate private schools for a range of expenditure per student, thus questioning the superiority of profit motivated private schools. * There is no clear consensus about relative efficiency of private schools emerging from the existing literature. Many previous studies highlighted the positive correlations between private school choice and student test scores rather than the causal effect of private school choice on student test scores, which is needed for an effective policy intervention. * Second, a standard analysis of school efficiency needs to account not only the heterogeneity of private schools, but also the underlying cost per student in a given type of school, which has large been absent from the literature (see Pal and Saha, 2014). * Finally, there remains the issue of fast growth of private tutoring in many emerging economies, which is prevalent not only for state school students, but also for private school students (Pal and Saha, 2014). The question is whether relative efficiency of private schools will hold even after taking account of private tutoring. While the literature has largely overlooked this issue of private tutoring in determining school choice so far, these issues need to be integrated. I hope that the future research would address some of these emerging issues. Pal, S. and B. Saha. (2014) In ‘Trusts’ We Trust: Socially Motivated Private Schools in Nepal’, IZA Discussion Paper No. 8270.